Check your posture. Without even realizing it, you are deconstructing one of the most important traits of your health and well-being. I’m going to cut to the chase and deliver the take-home message, just in case you have a short attention span. If you train with good form for 5 hours per week and you move like poop the other 163, you’re not helping yourself out. It’s as simple as that. Educate yourself, and take control. 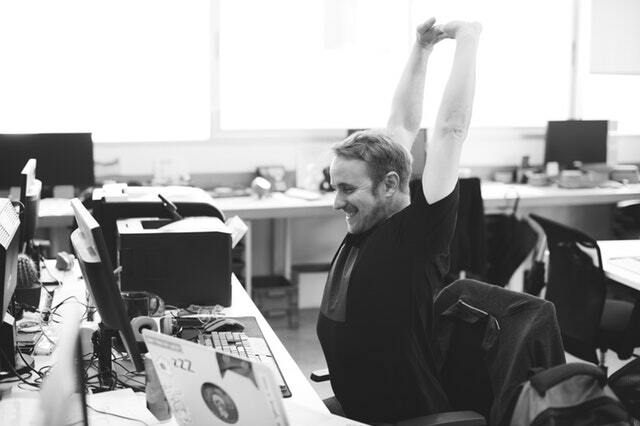 Precise movements that you can control, things like sitting and standing with “good” posture, will single-handedly make you feel better and move better. 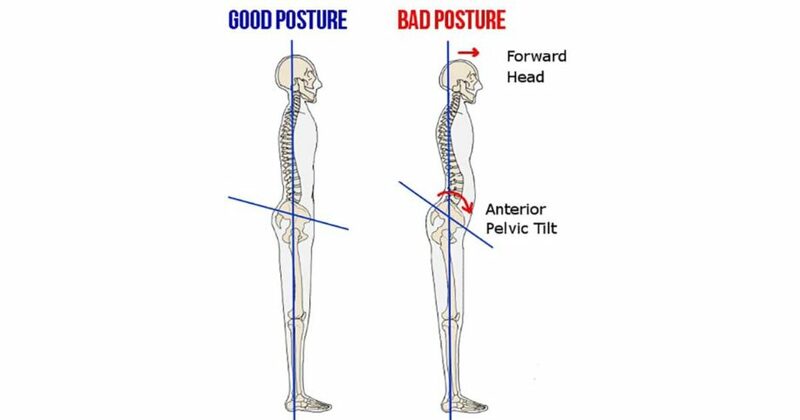 For the sake of keeping this post simple, we’ll assume good posture is the ability to control the movement in and out of what our society considers neutral alignment (head in line with upper back in line with low back in line with hips). Turns out your mother really WAS doing you a favor when she would harp on your posture at the dinner table. Now do yourself the favor and — read on. How long do you spend in a seated position each day? How long does it take you in that seated position for you upper/lower back to feel “tight and achy”? Do you constantly complain of having “tight” hamstrings? Is neck pain and/or frequent headaches a part of your everyday life? Do you have pain back or front of your thighs? Question: What is the telltale sign that you’re doing something wrong in regards to stagnant posture? Answer: Any slight or excessive Hunchback of Notre Dame thing going on. That big (or not so big) bump on the lower portion of the neck is known as Dowager’s hump. Not pretty and not comfortable. Don’t be a caveman sitting at a fire. We sit for hours each day with the back rounded, shoulders and shoulder blades rolled forward, and our head sitting inches in front of your torso looking too far up or too far down. This may be, more likely than not, how you are currently sitting (unless of course, you tried to sit up tall because you’re reading a post about posture). Let’s chat about the two main posture based issues we deal most often with, lower cross syndrome and upper cross syndrome. Lower cross syndrome deals with every day “sitting around” and the joint that pretty much effects all other joints of the body: the hip joint. In the body, you can have “long and weak” muscles as well as “short and weak” muscles. Excessive sitting without proper mechanics can often result in: short/tight hip flexors (psoas, reclusive femoris, TFL); long/weak glutes; and long or short/weak lumbar/core stabilizers. Upper Cross Syndrome has a similar short/tight long/weak relationship within the upper body. The rounded, forward posture of our beloved hunchback friend is caused by excessive tightness in the front of the chest, including the pec muscles, and short, tight muscles in the back of the neck. The front of the neck is long and weak, and the upper back muscles between the shoulder blades become long and weak. Overall, lengthening the chest muscles and strengthen the upper back muscles will allow you to be able to sit in a more upright, neutral position. There are multiple things we do at Greenwich Sports Medicine to address this issue. We perform different activation patterns, as well as mobility exercises that target the issues. It is important to realize that form in the gym and form in your everyday movement are two huge factors that can and will impact your body. Trainers and physical therapists can help you control your form and movements inside the weight room. Once you walk out of those gym doors, the rest is on you! Strength training is super helpful in the fight against upper and lower cross syndrome. However, it happens to only be about one-third of our solution. We must hammer stretching and mobility of the antagonist muscles (chest, shoulder internal rotators, hip flexors) to complete the circle and do our best to prevent back pain as well as improve posture.